A great base for a great holiday. Easily accessed from on street parking a few steps away, the apartment was recently refurbished with full, air conditioning throughout wifi & UK TV & european programmes. Lovely sunny terrace can be accessed from the lounge, and both bedrooms. The award winning Oasis del Capistrano, has luscious sub tropical gardens, 3 pools & newly reformed water gardens. There are 2 bar restaurants on the development. 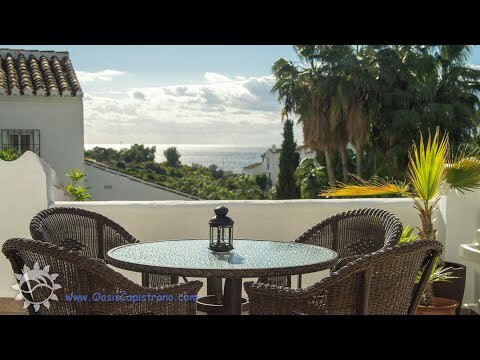 Please note, Nerja & particularly Oasis del Capistrano is popular with all ages but is quite hilly, as the natural beauty of Oasis is due to it been set aacrss a valley there are steps & slopes to negotiate, please ask if you require more information. We highly recommend you take out travel insurance.